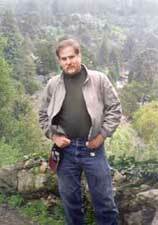 "Richard Schwartz is a treasure to California archaeology. Although a construction contractor by day, his passion is the history and prehistory of the state. Through his contracting work for clients on private parcels, hiking and walking with his dogs, and his patient review of early newspapers, he has identified and visited more archaeological sites in the Bay Area than has any professional archaeologist. He remains the primary point-of-contact for professionals needing to know and understand the site types and settlement patterns of the East Bay. The Circle of Stones exemplifies Schwartz’s patient and detailed historical research. The book is simultaneously a detective story and an example of the scholarly thought process that researchers use when investigating the past. The circle, itself, is a fascinating site and Schwartz’s investigation goes a long way in advancing our understanding of its history and use. Schwartz, for decades, has exemplified non-destructive avocational archaeology and history and should be a role model and inspiration for others interested in pursuing citizen science." contribution to the history of this intriguing region of California." Dr. Albert Elsasser, Anthropology Department Head at UC Berkeley and Director of the Lowe Museum said, "It seems to me that Schwartz has covered all the known bases in regard to the origin of the Sierran rock structure commonly called a "stone circle." Dr. Elsasser agreed with the conclusion reached by Schwartz after extensive research, interviews, and site study. The book takes the reader on an archeolgical mystery journey. Who built the circle and why? Schwartz covers all the possibilities from early California settlers of European descent, African American mountain men explorers, Chinese American stone masons building circular cattle corals, the emmigrants on the California Trail, the US Military after the Mexican-American War, and the many possible uses by Native Americans of the area- house, cerimonal circle, dance circle, and animal hunting corral. The Circle of Stones takes the reader on the same methodical journey of exploration and discovery Schwartz made in his study and eventual unraveling of the msytery of who built this mountain stone circle and why. In the interum, much facinating history from all periods is learned." THE CIRCLE OF STONES HAS JUST BEEN REPRINTED AFTER YEARS OF BEING SOLD OUT.